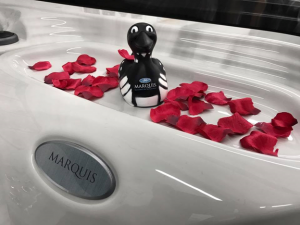 Roses and chocolate for Valentine’s Day is old and stale, how about creating a memorable evening for you and your significant other in an Outdoor Living hot tub! It’s proven!! Showing your love and appreciation to someone who improves your life significantly, is far from a one-day event. We believe you should show it every single day! 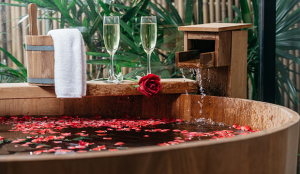 However, if you’re looking to spice things up with the love of your life, or you’re trying to impress someone new, then a hot tub date night is the perfect way to show your partner how much you care. Here are some ideas to spice it up!! Invite them for a date!! 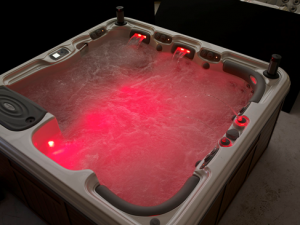 If you want to let your significant other know your plans for the evening, think of slipping them a note earlier in the day telling them you want to use the hot tub after work. Leave it somewhere they’re sure to find it: wallet, purse, the dashboard of their car. If you want to keep it simple, just shoot a text off to let them know. They’ll be surprised and excited. Set the mood with some music and lighting!! Set the mood with some lighting and music. If you’re making a playlist, try to sit down and really be thoughtful. What was a song that played at your wedding? How about one of his or her favorite songs this year? Try to pick ones that make you think of one another. They don’t all need to be serious ballads, just something that will strike up a conversation or make them smile. If you have some extra essential oils lying around your house, you can vastly improve the mood for your V-Day soak session. Scent is one of our most powerful senses and is strongly tied to memory (hopefully good ones). Here’s a list of a few scents and how they affect you. Peppermint: Relieves tension and stimulates your senses. It also activates the imagination and has many healing properties. Geranium: Lifts your mood while de-stressing and relaxing you. Floral scents are always calming. Clary Sage: A mood balancer that is known to give relief to nervous tension. Also regarded as a powerful aphrodisiac. 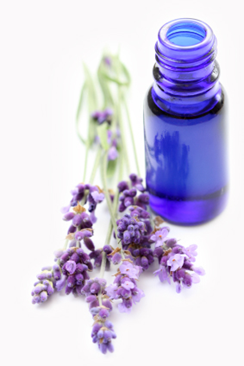 Lavender: Helps alleviate stress and anxiety. Also good for those who struggle with insomnia as it calms the mind. Essential oils are very concentrated so 6-10 drops in your circulating hot tub should do the trick. Be careful not to choose oils that have carrier oil added because it may clog your filter. If you have a local hot tub or pool supply store nearby, they sometimes carry scent crystals made specifically for this purpose. In The End, Just Have a Great Time! Studies have shown that regular date nights with quality conversation are a key element to a happy and long-lasting marriage. 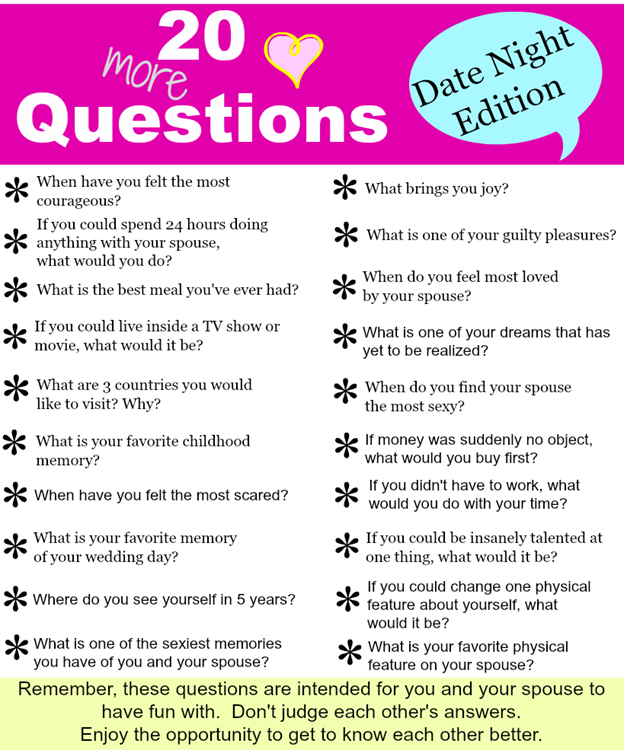 If you feel like you’ve run out of things to talk about, consider using some conversation starter questions listed below.